I've been sitting on this news for a couple of weeks, but now that the contract has been signed, I can officially make an announcement. I've sold another short story, this one to the Hidden Histories anthology to be published by Third Flatiron Publishing in April. 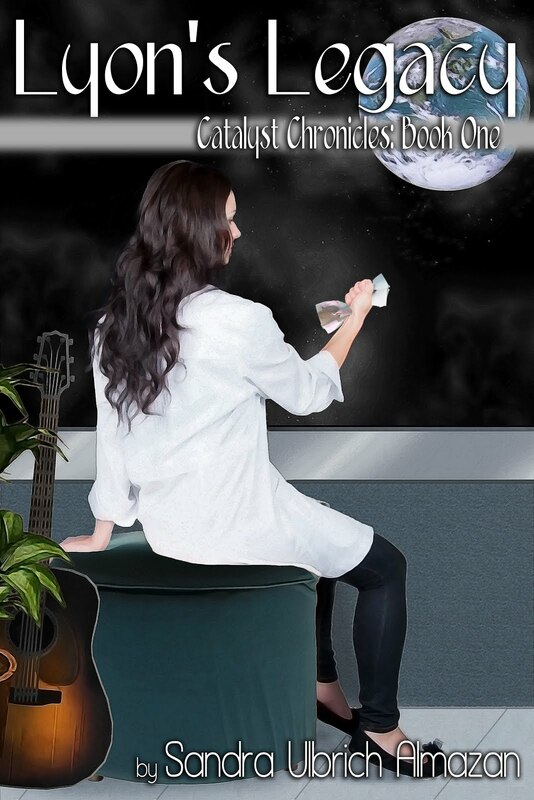 My story is called "Specimen 1842," and it's about a genetics postdoc who finds some anomalies in an ancient specimen. More details will come as the time draws closer to the publication date. The exciting thing about this sale is that this market pays at the current U.S./SFWA professional rate (which goes up from six cents/word to eight cents/word later this year), so this is my first professional sale. Hopefully there will be more in the future! The impression I'm getting from what I've read so far from Delany's work is that the science fiction of the 1960s was more focused on adventure and plot than character development. The focus is more on exploring an idea (at least in Babel-17) than on making the work a united story. (Perhaps this is due to each section of Babel-17 being written in a different style. The reader has to adapt to each new section; perhaps I'm just a lazy reader in wanting the writing to be transparent and not get between me and the story.) 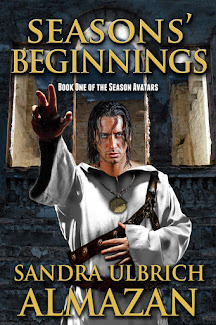 The main character, a poet named Rydra Wong, felt a bit Mary-Sueish to me with her abilities and the way so many of the male characters were interested in her. Some aspects of the world-building didn't age well; I can't imagine any teenagers (or even kids) these days who would carry marbles with them. I'll continue to work my way through Delany; hopefully I'll get more out of it as I become more accustomed to his style. It's useful to get out of your comfort zone occasionally and expose yourself to different styles of writing. If you've read older classic science fiction, were there stories you struggled with? Is Delany's work typical of his era? Which works do you think held up well? Please let me know in the comments. Help Me Free Scattered Seasons! 1. Go to the Scattered Seasons page on Amazon. 2. Scroll down past the Product Details until you see "Would you like to tell us about a lower price?" 3. Click the hyperlink and select "Website." 4. Paste in the address of the Scattered Seasons page on another store. It can be Barnes & Noble, Kobo, or Apple. 5. Enter 0.00 for price and shipping. You don't have to change the date. 6. Click the "Submit feedback" button and close the pop-up window. Thanks for your help, and please feel free to download a copy if you don't have it already. January's finally over, so that means we're one month closer to spring. I wouldn't mind fast-forwarding to March, but unfortunately that's not possible. 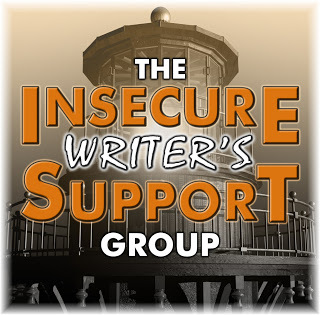 At least we have the Insecure Writer's Support Group to keep us going during the rough weather. To learn more about the IWSG, check out their website, Facebook page, or Twitter feed. This month's co-hosts are Raimey Gallant, Natalie Aguirre, CV Grehan, and Michelle Wallace. For February, we've been asked the following question: Besides writing, what other creative outlets do you have? If you've been following my blog for a while, you know one of my other creative outlets is crochet. 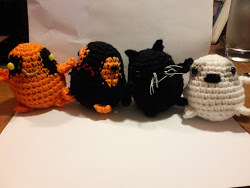 I focus on amigurumi, figures of characters and animals. 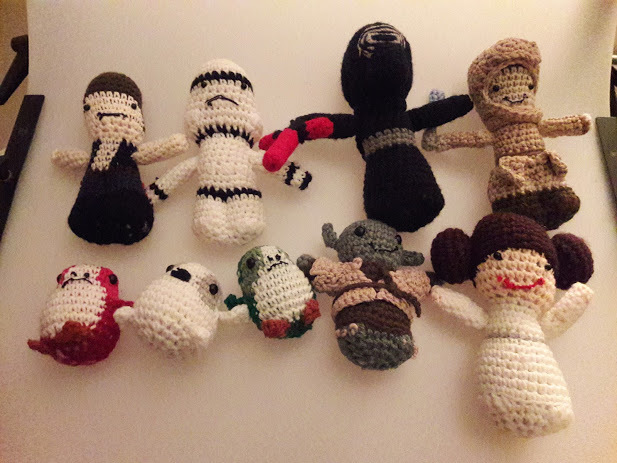 Most of the amigurumi I make is from other people's patterns of Star Wars characters, but I'm slowly branching out into other geeky characters and working on my own designs. Here are a few photos of my work. The top one mostly features Star Wars characters; the bottom one displays variations on a porg pattern. Since getting into Star Wars costuming in 2015, I've also learned to sew. 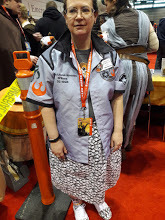 I still consider myself a beginner, but I've made Jawa costumes, lanyards, and a skirt (pictured below). Eventually I want to make my own Jedi robes, but I'm not sure if I want to make General Leia's blue dress from the end of The Force Awakens or have someone else make it for me. I'm not sure if I should count Star Wars costuming separately from sewing. There's more to costuming than sewing; some people do leatherwork, assemble armor, or paint/embroider as well. Trooping (wearing the costume in public at scheduled events) might also be considered a separate creative endeavor, since it's acting. When I wear my Jawa costume, I try to avoid speaking English and use Jawaese words instead. I also goof around much more than I do as myself or as an Imperial Officer. To save space, I'm not going to post any Jawa pictures in this post, but you can find them in the archives. Finally, cooking and baking are also creative outlets for me. Most of the time, I follow recipes, but I occasionally tweak them to suit my own taste or use ingredients I have on hand. Juggling all these creative endeavors takes a lot of time, but it's good to be able to switch between them. It's quite fulfilling to sell an amigurumi to someone or wear something I made myself. Do you have any creative hobbies? If so, feel free to share them in the comments. As a science fiction/fantasy author, I discuss topics such as science, writing science fiction/fantasy, indie-publishing, books, and authors. On a personal note, I also blog about my family and the Beatles. I usually post three times a week. A recurring topic is Science of the Week on Fridays, though sometimes it's preempted. Although I'm not comfortable reviewing books, I am willing to host author interviews and participate in blog tours. Please e-mail me at ulbrichalmazanATsbcglobalDOTnet. Clones, time travel, and rock-n-roll! 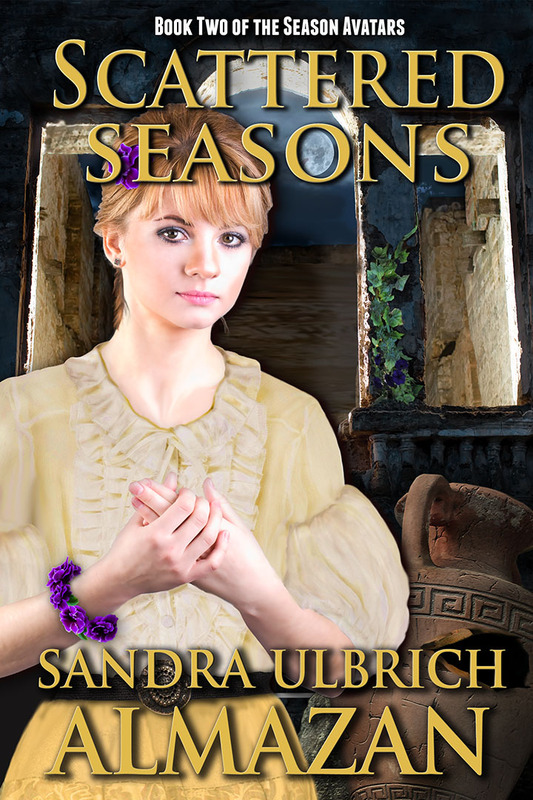 Receive a free copy of Scattered Seasons by following the link (click the cover). 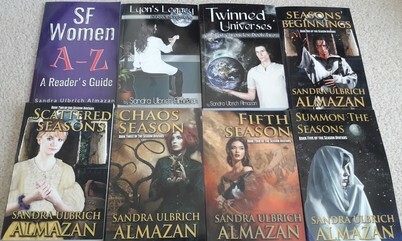 I'd appreciate it if you "like" my Facebook page: Sandra Ulbrich Almazan, SF/F Author. Thanks! Copyright Sandra Ulbrich Almazan, 2012. Ethereal theme. Powered by Blogger.